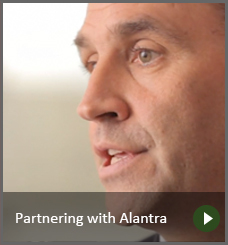 The healthcare industry continues to see high levels of M&A activity. Its countercyclical nature together with strong macro industry trends and the sense that healthcare is the next industry to be truly “disrupted” is driving activity, investment and consolidation across different parts of the healthcare market. Care service markets in the UK continue to be consolidated, whether acquired or invested in by a range of financial institutions from traditional UK private equity and increasingly by REITs, infrastructure funds and family offices both in the UK and from overseas. 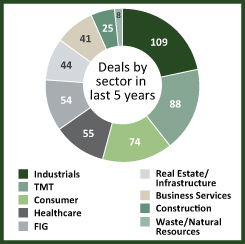 Sectors such as dentistry, specialist and elderly care, and also veterinary markets, are notable in terms of deal activity. The evolving nature of the pharmaceutical supply chain and continued outsourcing by big pharma is underpinning strong deal activity in this sector. Those businesses that specialise in niche, value-added services have attracted strong interest from private equity and valuations are reflective of that. The digital healthcare market is growing rapidly with both the NHS and individuals increasingly adopting digital solutions. Funding and acquisition activity is on the rise as technology embedded solutions to care are rolled out, providing the consumer with efficient and direct access 24/7. The healthcare sector remains buoyant with deal volumes increasing in 2017. Strong macro drivers, including the ageing population, structural changes in the pharma market and the need to introduce and scale new technologies and treatments, are driving global and UK M&A activity. This is underpinned by high levels of liquidity and a low interest rate environment, both seeming to outweigh the political and economic risks that exist.